Granite is a medium-grained textured igneous rock with a mixture of different colored minerals. Major minerals include feldspar, quartz and mica. 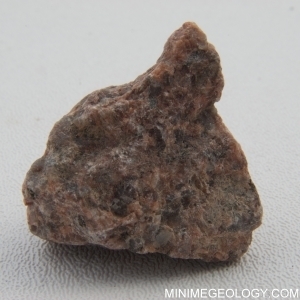 This red granite gets its color from pink feldspars in the rock. Granite is a hard rock and is often used as a building material.